Living in Vancouver means practically no snow. In the past 7 years or so, we would literally get ONE single day of snow and by next morning, it would be all gone. Major Boo as I do love the snow! However, the amazing part of living in Vancouver is that we are nearby quite a few mountains with ski and snowboard slopes as well as other snow activities like Snow Shoeing! 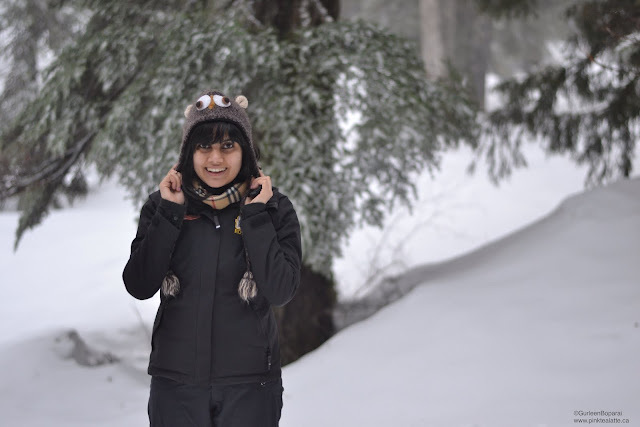 This was my first time snowshoeing and I am glad that I went. 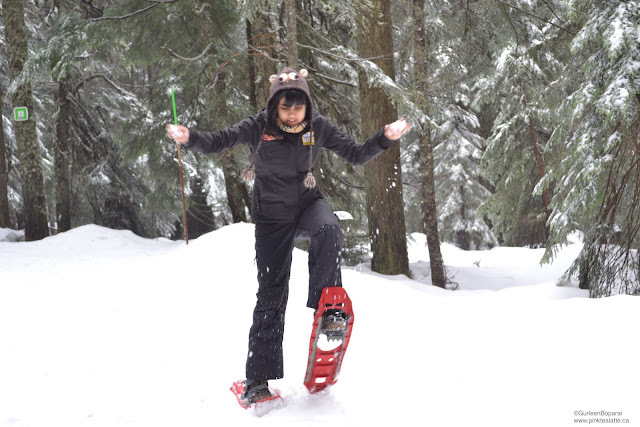 It was a great deal of fun and fun fact - snowshoeing burns more calories compared to downhill skiing! I am not really sure how I should structure this post. Maybe I will go from beginning of the day to the end? Even though I do have my own vehicle, I do not feel comfortable driving up to cypress as I have not had much experience driving in snow. My friends and I opted to take the Cypress Express Shuttle from Metrotown at 9:10 AM and since we were students, the round trip cost us $20. Not too bad. The shuttle arrived at Nordic Point Cypress around maybe 10:20 ish?! We decided to go on the snowshoe tour because we did not know if we wanted to go on the trails alone. But our tour ticket gave us access to the mountain for the full day and the staff suggested we go out and explore a couple of trails ourself as we had a good few hours prior to the tour. So glad that we did go out on our own because snowshoeing is not hard! I am not sure why I was so terrified! haha oh wells. We got really lucky to get gorgeous weather. No rain or snow and NO WIND! Yay! I honestly think wind is the worst as it makes you feel colder. I also loved how the staff told us "if you can walk, you can snowshoe" haha which is true! The key is to not trip over you snowshoes or attempt to walk backwards. On our own, we trekked through the Hollyburn Meadows trail and the Marr Creek trail. Around 11:30am, we decided to head back to the checkin area and lodges to eat before our 2 hour snowshoe tour. I am really glad that we made the decision to eat and took a break because the 2 hour tour does tire you out. BTW - the CHILLI is AMAZING! It is hearty and I want to say it is vegetarian as it was filled with chickpeas, kidney beans and lentils as well as lots of yummy veggies like carrots and zucchini. Super delicious and definitely made fresh! And because I am a little piggie... I also shared a chilli dog with my friend - also AMAZING! Finally 1pm so we can head on out for our Hollyburn Snowshoeing Tour! I believe there were around 12 individuals in the group led by our fabulous guide, Kate! Unlike when we went on our tour, Kate took us off trail. NOTE - STAY ON THE TRAILS WHEN NOT WITH A GUIDE AS THERE ARE LOTS OF DANGEROUS AREAS. She also shared some really neat facts with us. She pointed out Snow Bunny tracks and showed us the Brimble tree. As well, various cedars also called the Cypress tree! As well, she pointed out what types of natural dangers to be aware of. Such as tree wells, the snow collected around the trees. You want to stay away from them because you could fall into one. As well, be cautious of edges because you never know if the snow will support you or not. 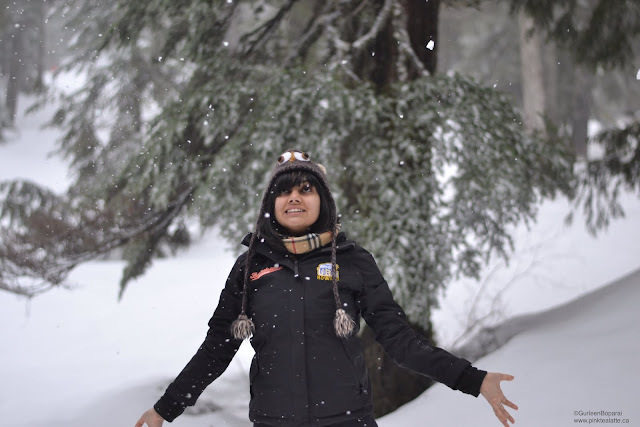 Soft fresh snow = you will sink into it! After two hours of off trail snowshoeing, we went back to the lodge for hot chocolate and cookies. We hung around and just relaxed before catching the shuttle back to Metrotown at 4:15pm. A long adventure filled day, but full of amazing memories for life! I am definitely going to head out for snowshoeing next year!